Concept 40 is the bigger sister of the Concept 20. Again, two casings are nested into each other, separated by a gel level. The larger volume of the casing is played with two subwoofers, thus the width of the casing is kept extremely compact. The aluminium baffle is first choice not only from a design perspective; it completes the elaborate damping concept with a layer of Butyl natural rubber. 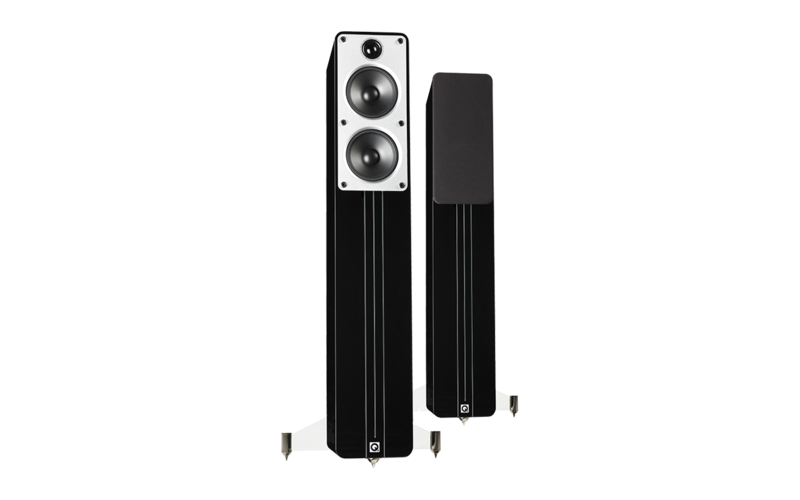 A minimalistic, but nevertheless elaborate stands creates a secure stand and a further acoustic decoupling of the Concept 40. The colour variation in black or white high-gloss varnish make the elegant Concept 40 an additional eye catcher.